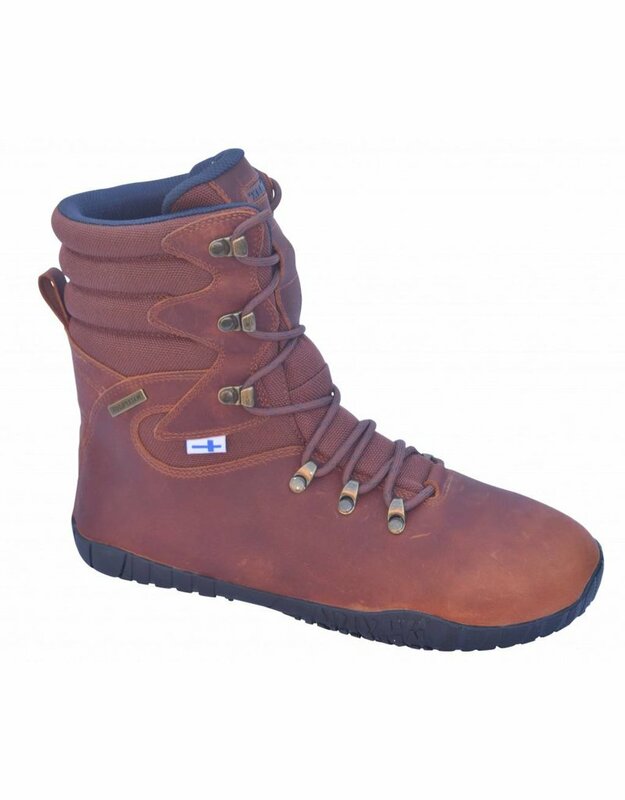 Kuuva 4 minimalist Hiking Boot. 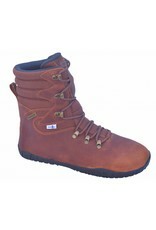 Ecological leather upper, SympaTex ® waterproofing, Lace hooks, and durable laces. 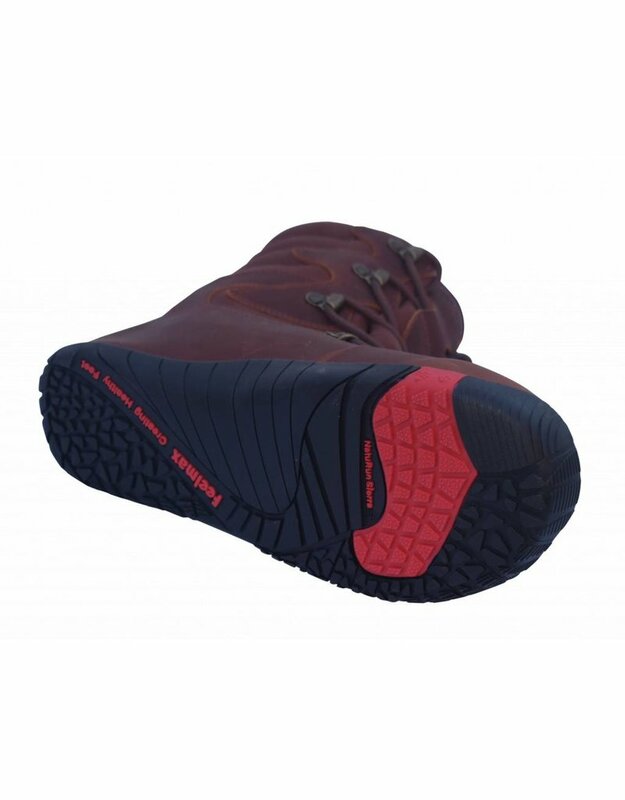 Feelmax NatuRun Sierra outsole with "lugs" for improved grip. The outsole is zero-drop, with 2,5mm thickness, on "lugs" the thickness is 4mm. Higher design. Very comfortable and light. 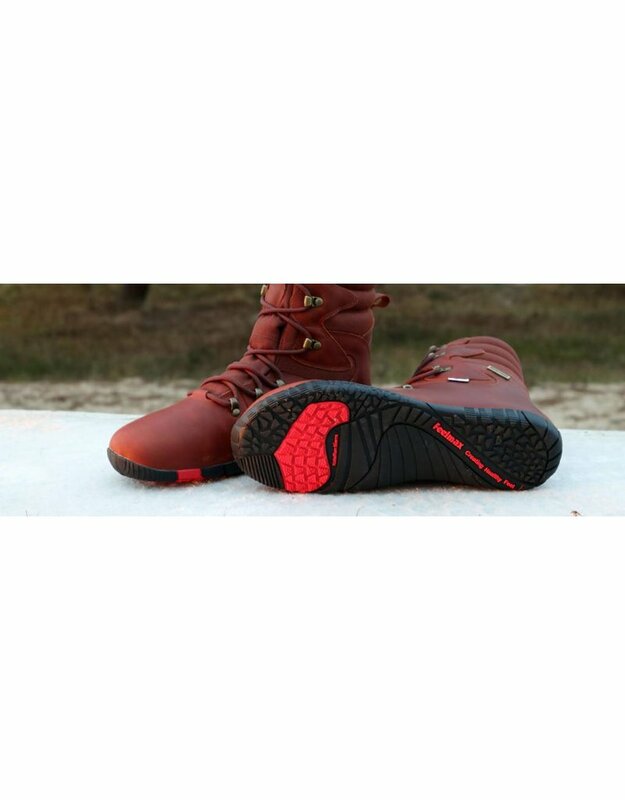 Waterproof inner lining and leather. Waterproof up to 4 hours of use. Fabric trim in collar and tongue.